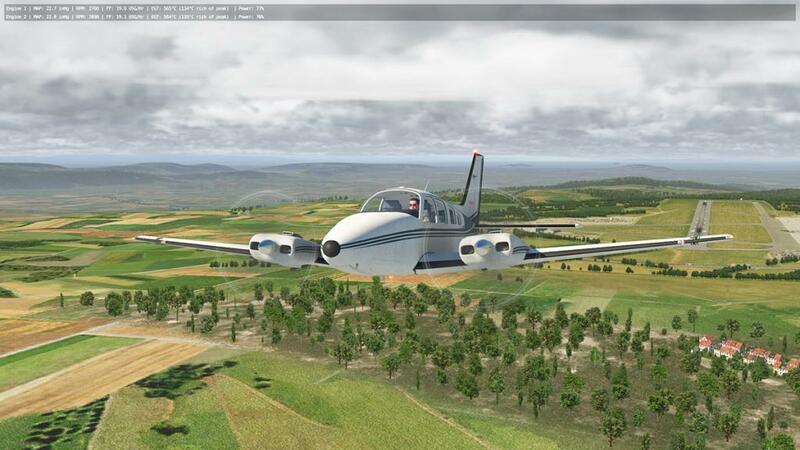 Laminar Research provide with the X-Plane simulator a variety of aircraft from heavy jets (B737/B748/MD-80), Gliders (ASK21/Aerolite 103), Fighter (McDonnell Douglas F-4 Phantom) and General Aviation aircraft such as the Cessna 172SP, KingAir C90B and the Baron B58. The aircraft are very good with a lot of features, but are mostly basic compared to the high-quality payware aircraft. 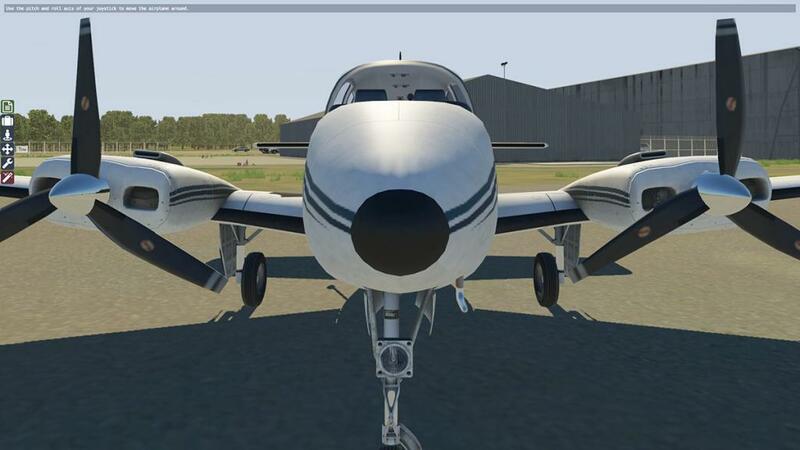 So this leaves the door open for 3rd Parties to develop plugins to enhance the basic setup to add in something more realistic to make these already very good aircraft more realistic. And this is where SimCoders comes in. 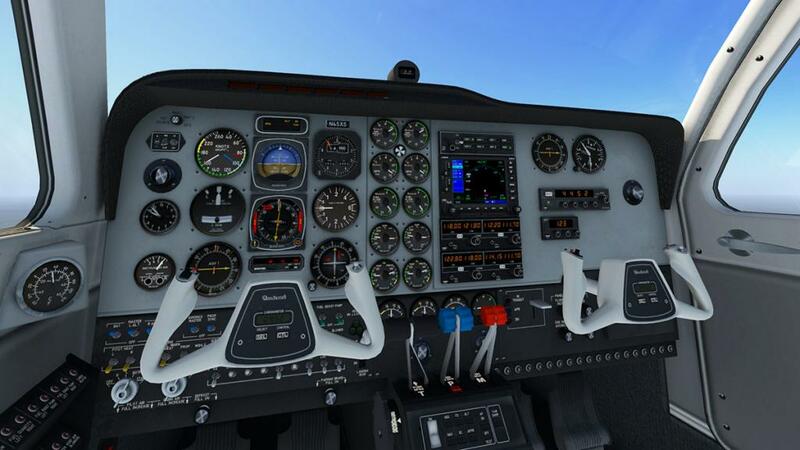 They design REP or Reality Expansion Packs to enhance the aircraft in various ways and to give the aircraft a more of the realism effect that you would get with a real world aircraft. But you would first say "I already have a REP pack for the B58 Baron?" and that is correct, but not for this Laminar Research B58 Baron, but for the Carenado B58 version of the aircraft. But first let us look quickly at the donor aircraft from Laminar Research. 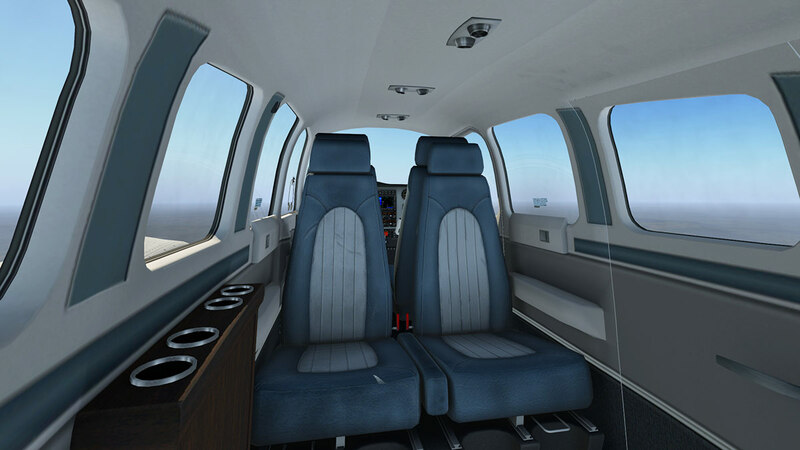 The aircraft is actually very good as Laminar Research use these default aircraft to show off the simulator and even use them as test aircraft for various new effects or features. 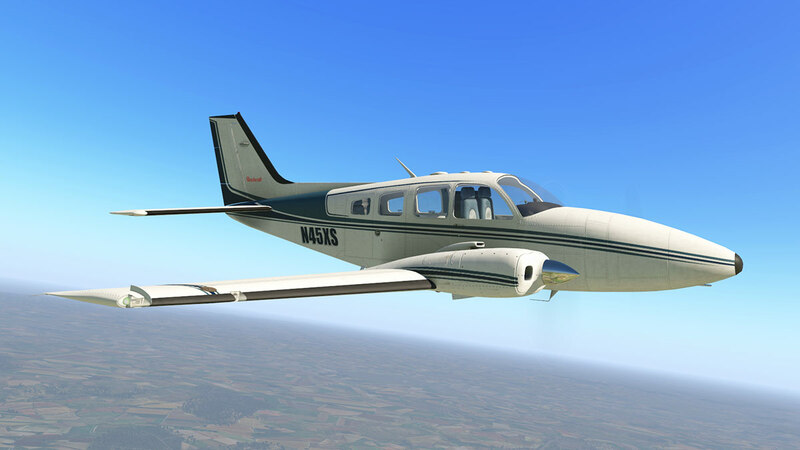 They are well detailed and fly very well, but there is a basic feel to them compared to most payware addon aircraft, but again they are free (with the simulator) after all. 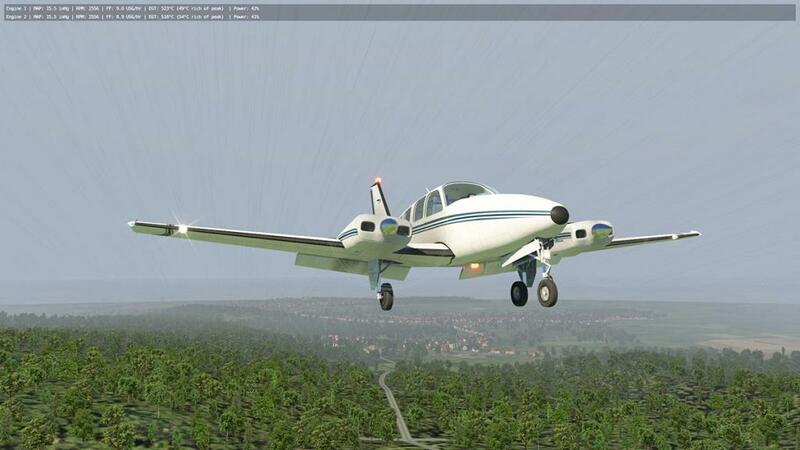 ... but the aircraft do come with the default features of FMOD sound, opening doors and good avionics. 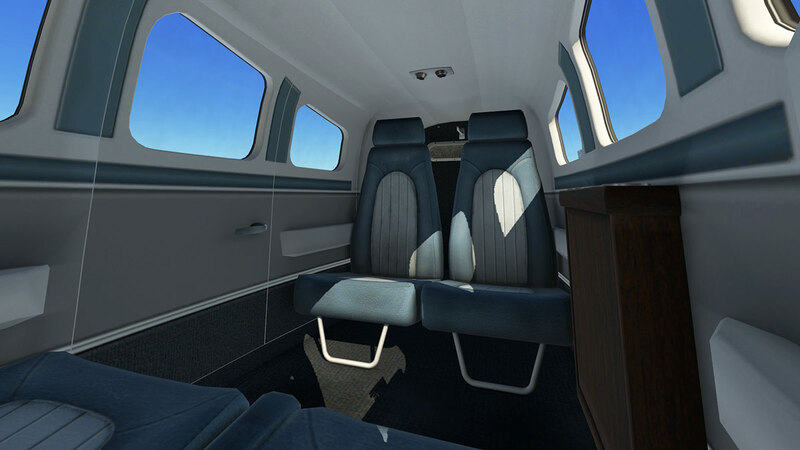 You can hide the excellent yokes as well and the cabin is nicely fitted out. So overall you won't be disappointed even by this basic aircraft as it does everything you expect it to and the B58 Baron Twin also flies very well. 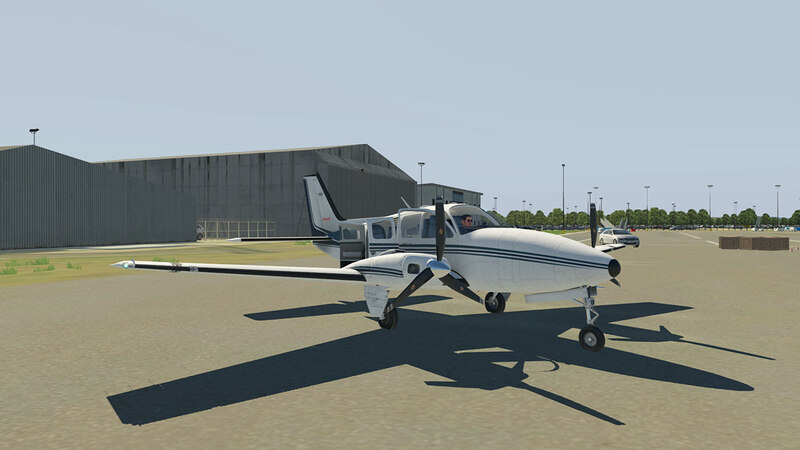 The idea of these packs are to bring a bit more of the everyday running of a GA light aircraft to life. 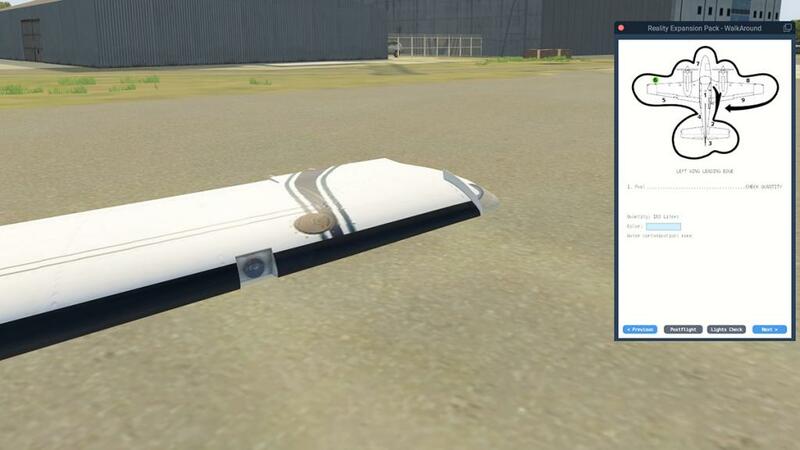 Basically if you have used one REP pack then they are all the same with just the aircraft they are attached to different. 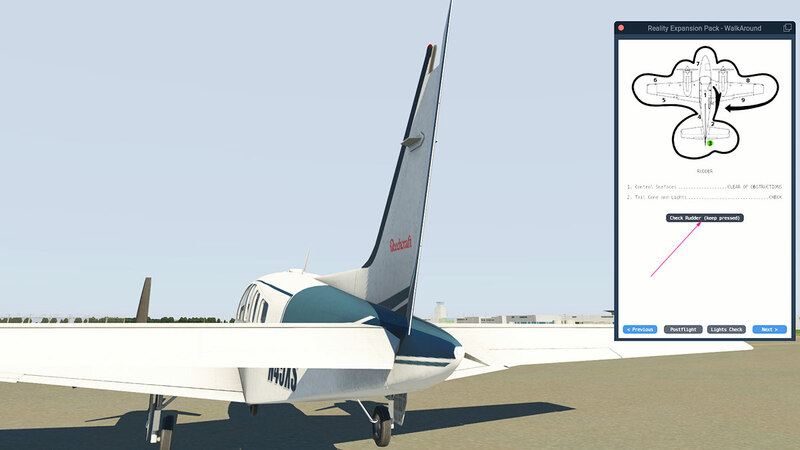 The REP package is installed in the aircraft's folder in the Plugins folder (not the X-Plane/resources/plugin folder). 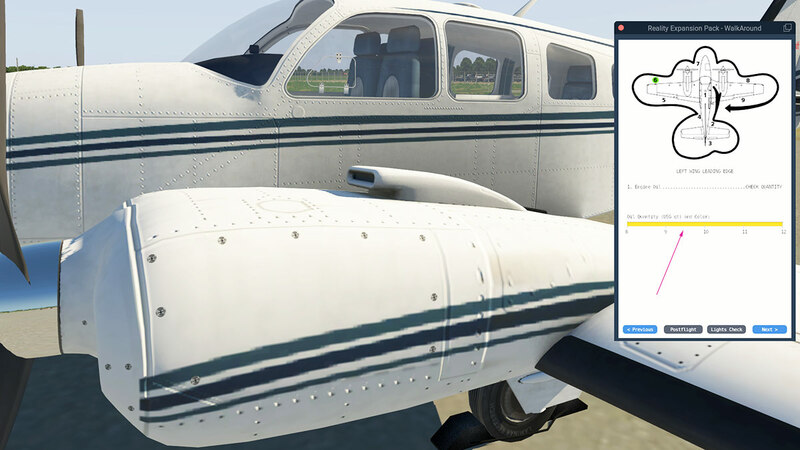 I recommend to duplicate the original aircraft folder to keep both aircraft active and rename the new folder "Baron B58_REP"
The REP plugin does however still show in the main X-Plane/Plugin menu when you drop it down from the header bar... and asks you to "Enable Package". This "Enable" is really an authorisation process and the licence key provided with your download is inserted into the pop-up panel and you then activate (internet connection is required) the plugin via the "Ok" key. 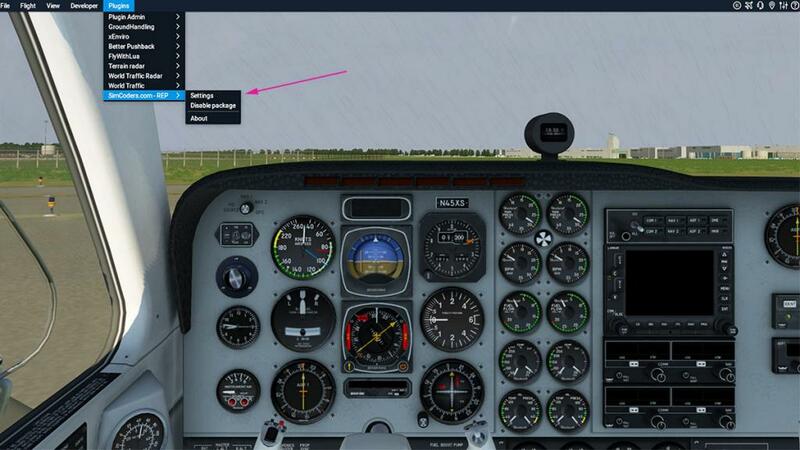 When verified then the pop-up panel will note for you top reload the aircraft. 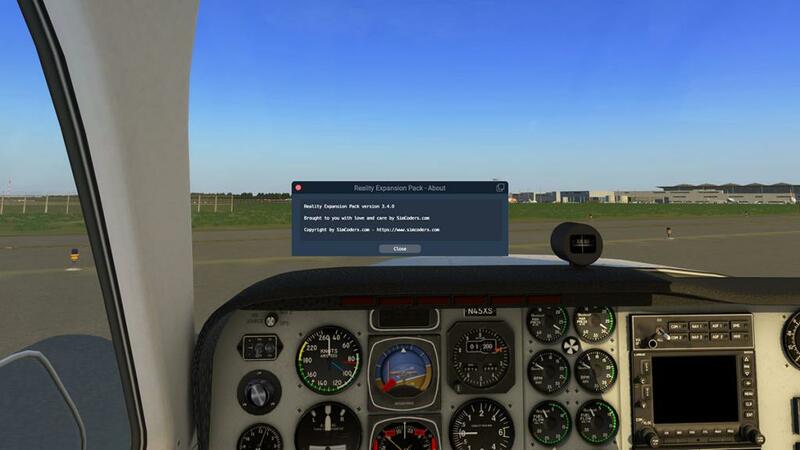 I will always note to do a complete desktop start of X-Plane in these sort of aircraft restarts, this makes sure the full systems are reloaded (inline) correctly. I am going to note these menu options in reverse order: "About" is your REP version number and copyright and that SimCoders really love what they do! 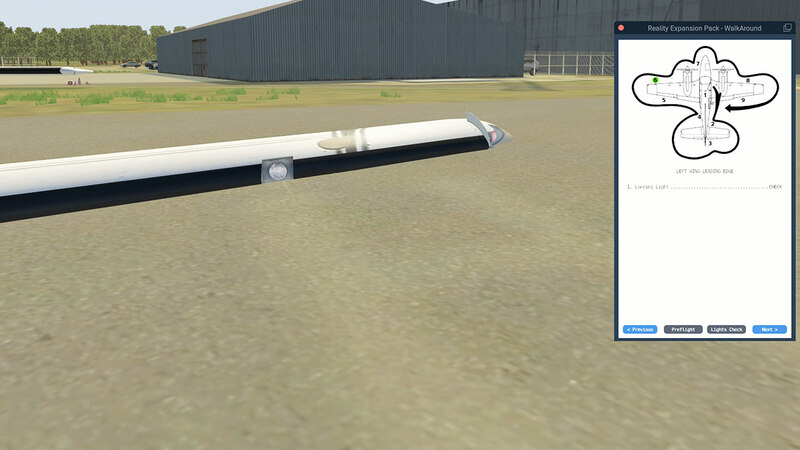 The "Disable Package" option allows you to uninstall the REP package on the B58. With the REP active there are three areas now available. 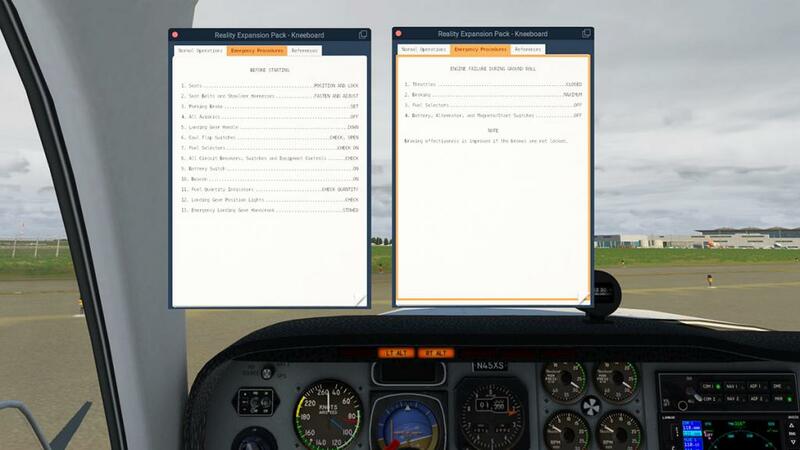 An information banner across the top of your screen and a set of menu tabs on your left. The other item is the pop-up panel for the REP "Settings"
This newer settings option panel does eliminate a lot of the original annoyances in the fact you couldn't turn items off like the "tips" and other pop up notices that were constantly annoying in the top banner as you flew. 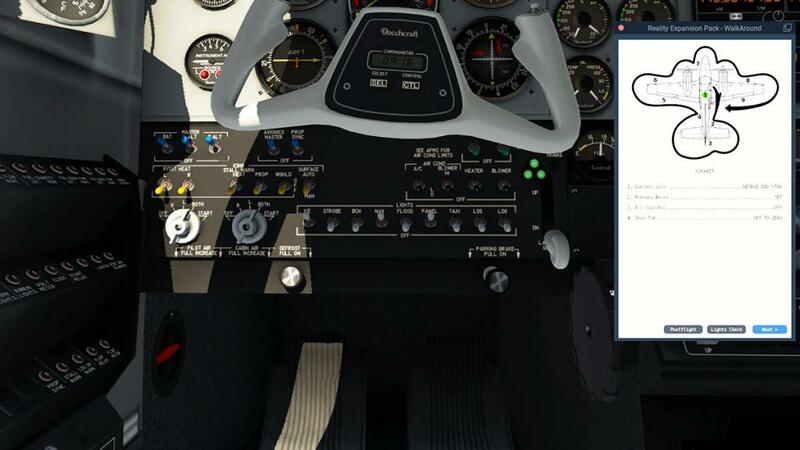 The "Kneeboard" has three pages of references: Normal Operations, Emergency Procedures and (Speed v) References. 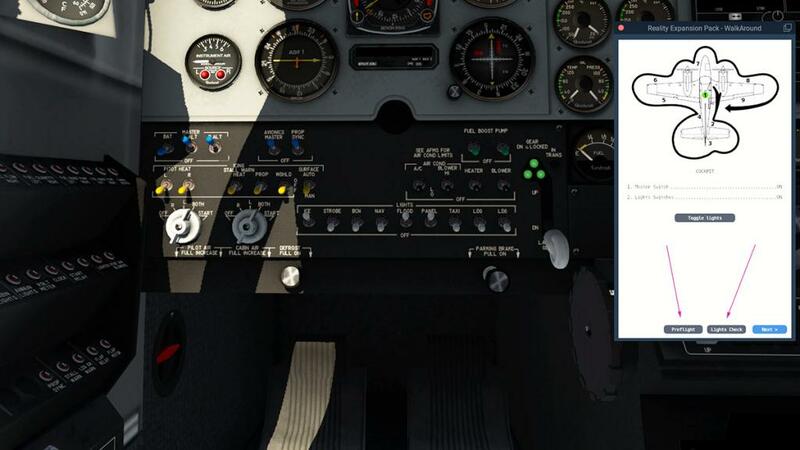 The kneeboard pop-up does have a quirk in annoyingly popping up all the time when you press a tab on other menu items, once or twice is fine, but then it gets constantly annoying coming up in your face. 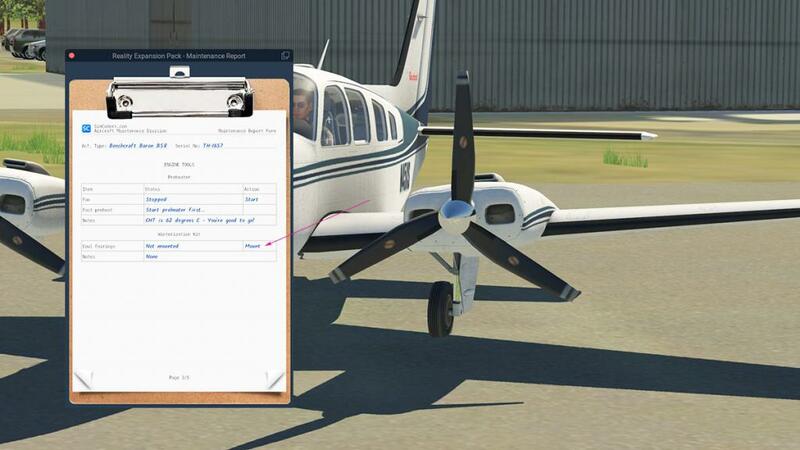 The aircraft setup menu is very good. 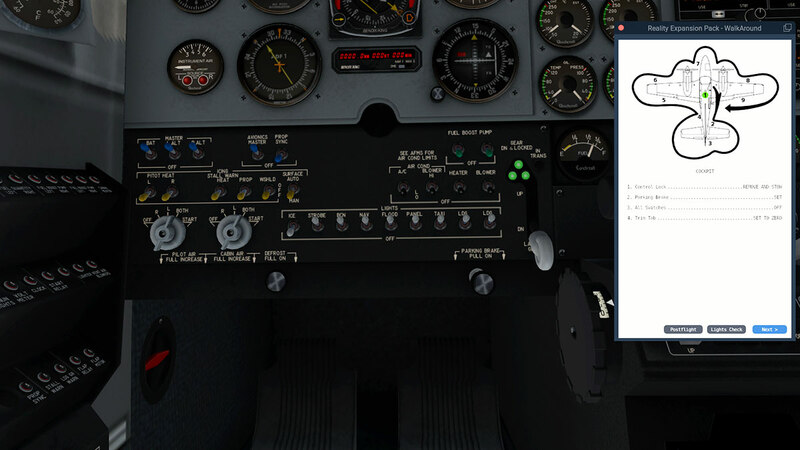 You have "Load Stations" for pilot & passenger weights, baggage weights and fuel weight (Fill) and all the settings are reflected on a graph of Mass and C.G. (Centre of Gravity). in the settings menu "Use US Customary" allows you to switch between lbs (left) and kgs (right). "Fill Tanks" will fill both fuel tanks to full, but here with the full tanks it puts me over the weight limits and hence the warning. The "Walkaround" feature is very good and to a point the heart of the REP package. 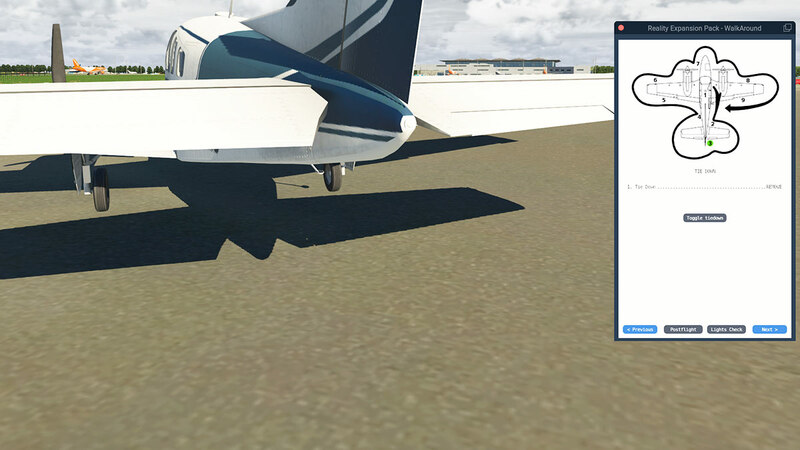 There are actually two walkaround modes... one for "Lights Check" and one for "Pre-Flight". You can toggle all the light switches on or off by pressing the "Toggle Lights" tab and then use the "next" to go around the aircraft to check the aircraft's lighting with the tail beacon, both leading edge (navigation/strobe), both Landing lights and front wheel strut taxi light. 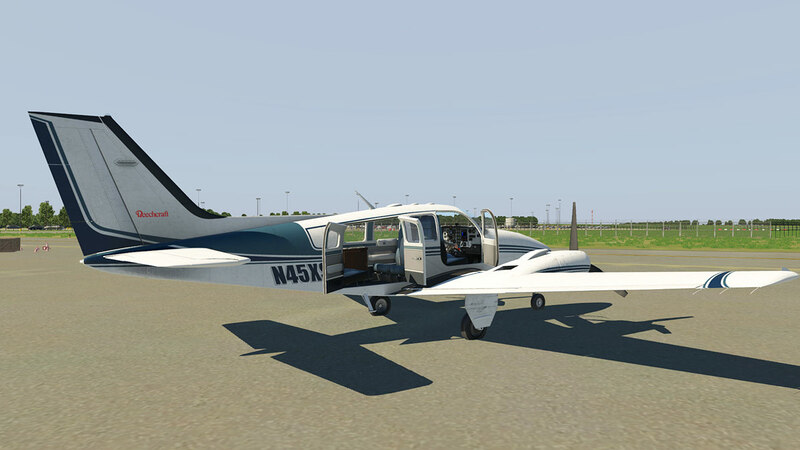 "Pre-Flight" is the main Walkaround of the aircraft. In reality it is same feature here of all the REP packages from the start, but it is very good. You start inside with checks to the (yoke) Control Lock, Parking Brake, (power) All Switches and trim tab (set). Then you move externally around the aircraft via the same (Next) tab and can go back to the previous check point by pressing the "Previous" tab. 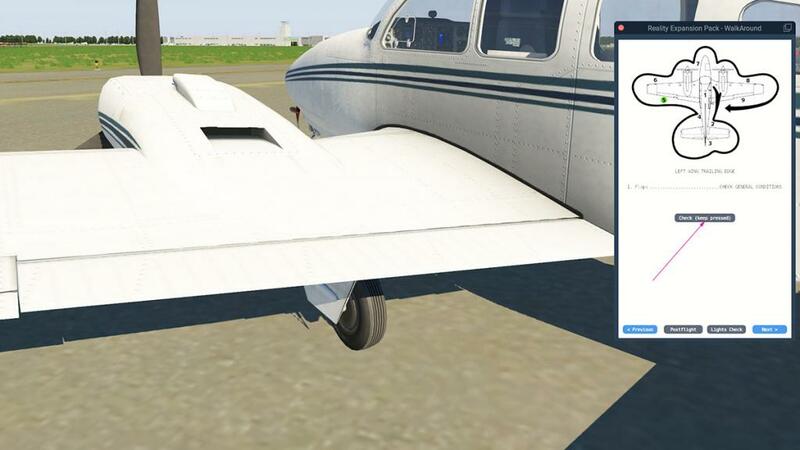 Some points are cleverly animated in that by pressing the tab you can move (or test) the rear tailplane and rudder... the same can be done with the ailerons and flap flight control surfaces. 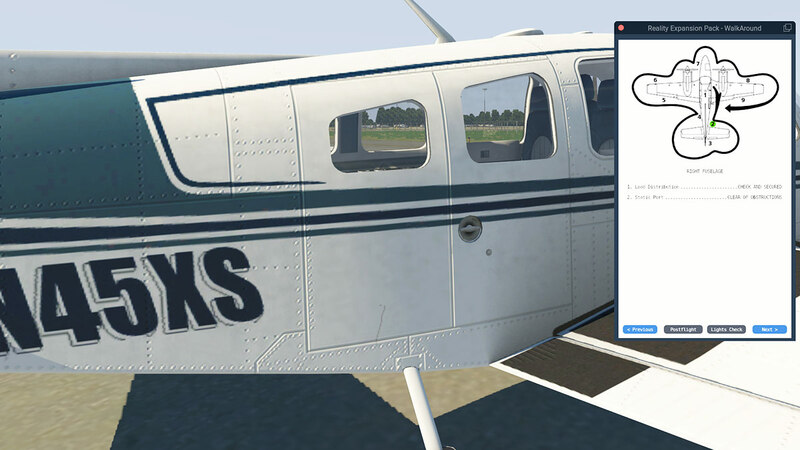 Static elements can be added or removed like with both wing and tail tiedowns, chocks and pitot covers as you move around the aircraft. But there is slight odd anomaly here with the static elements? 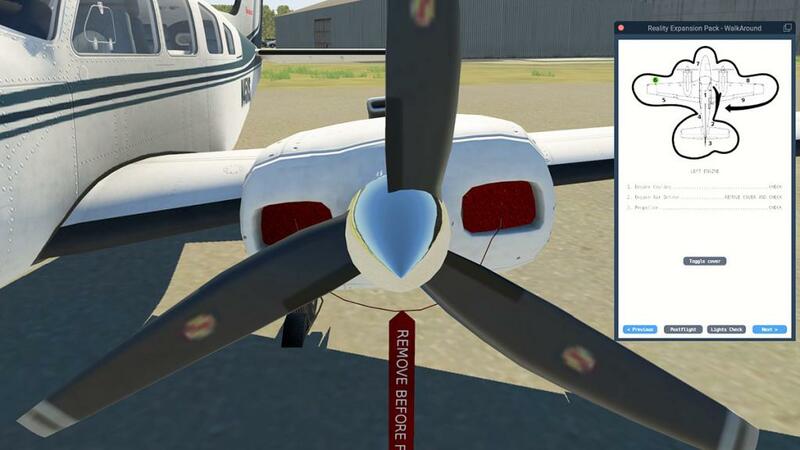 If you load the REP B58 Baron with engines running the chocks are still in place? And too remove them you then have to shutdown the aircraft, then do the full walkaround to the chocks, and then restart the engines to fly? There should be a tickbox in the settings to add All static elements or Remove all Static elements. 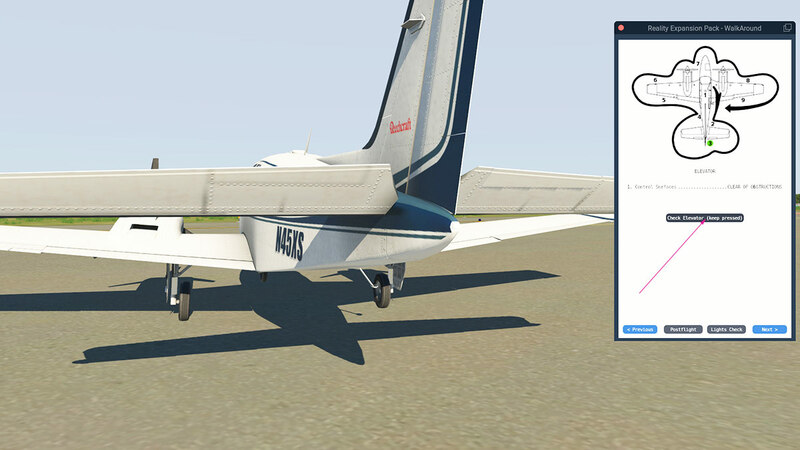 ... Fuel Contamination (again the lighter the better) and pitot probe temperature. Static elements cover all probes and engine inlets. It is a very good Walkaround system, and the walkaround works in with the later tab of "Maintenance Report". The "Tow" feature is quite basic but works really well. 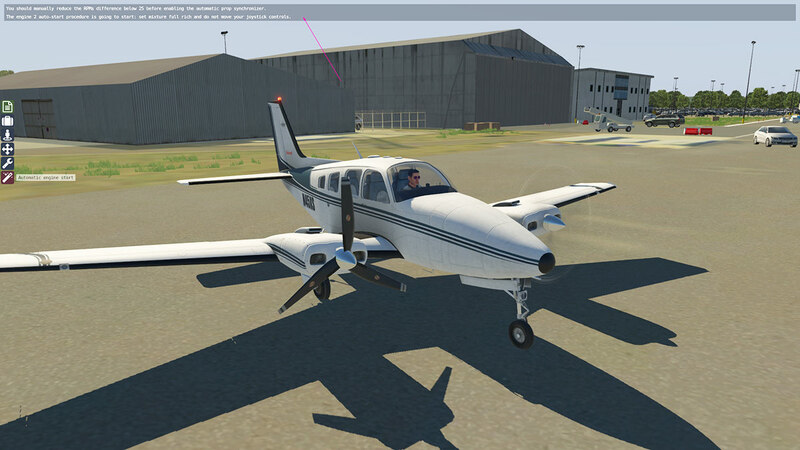 Selecting "Tow" will put you on the front of the aircraft and then you use your joystick to move the aircraft in forwards, backwards and left and right. 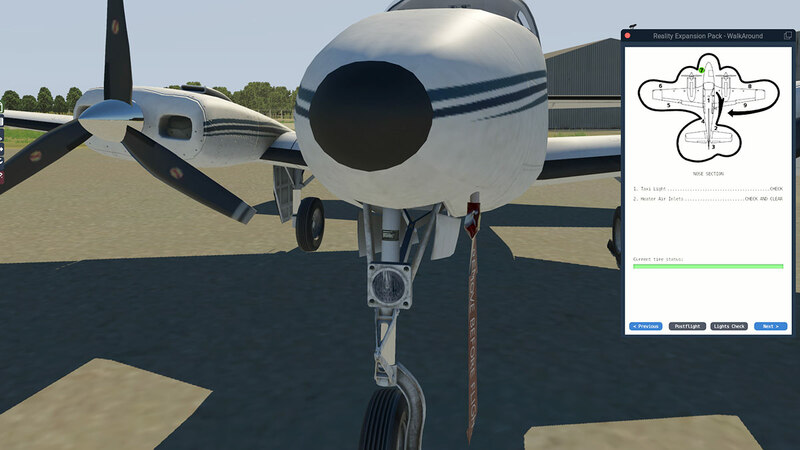 Like the Walkaround you can maintain the B58 Baron with this feature... if areas need like changing like the Tyres, Oil, Oil Pump, Spark Plugs, Fuel Filter, Starter (motors) and even the condition of your engine's Compression is noted. Areas that need attention are noted in RED and a click will do the job. ... the choice of fitting Cowl Fairings within the engine cowls. 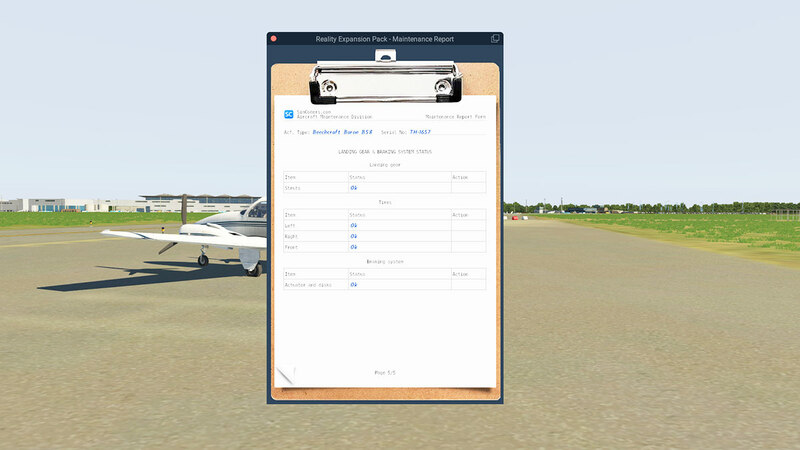 So it is a pretty comprehensive report and gives you high access to the aircraft's functionality. One of the most annoying actions in the original REP packages was starting the engines. There is realism and there is also the "drive you up the wall factor" and starting the engine in a REP pack was certainly in the latter category. But here we now have an automatic engine start feature, and it goes through the process of starting both the B58's Continental IO-550-C engines and tells you via the banner bar on what in the process is happening. 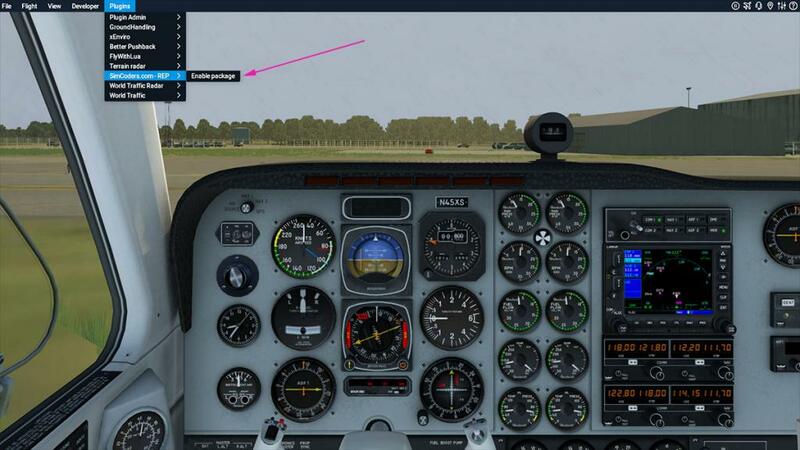 It works very well and handy to note the sequence starting procedure for each engine. I will note it however didn't like the way I had my throttle settings in that instead of each throttle for engine one and two, I had it set as one throttle lever for both twin engines and the other throttle lever for both engine conditions in like I use this set up with flying single engine aircraft... that arrangement confused the REP and both engines started very differently and wouldn't link together cleanly and I couldn't get the prop sync to lock, once I switched back to an engine to each throttle lever the problem went away. 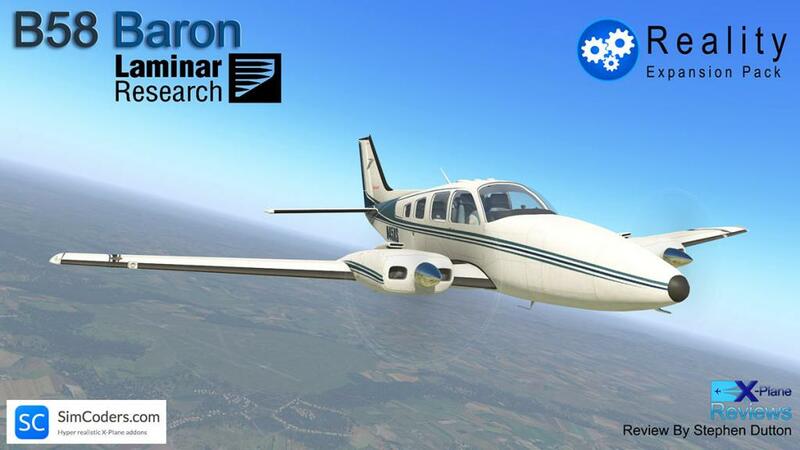 The effects of Vapor Lock Simulation and Fuel Flooding simulations are still there for your amusement (or frustration) and if you go too far in mis-treating your Baron then the engine parts can be damaged if not managed correctly. It is just not the external aspects of the B58 Baron that are effected, but also so are the dynamics... There is also in the package Realistic taxi behavior, Realistic stall speeds & behaviors, Realistic climb speeds, Realistic cruise speeds and better flying characteristics with the more (set) Realistic Weight & Balance. The stall behavior will also activate a stall warning for the aircraft. 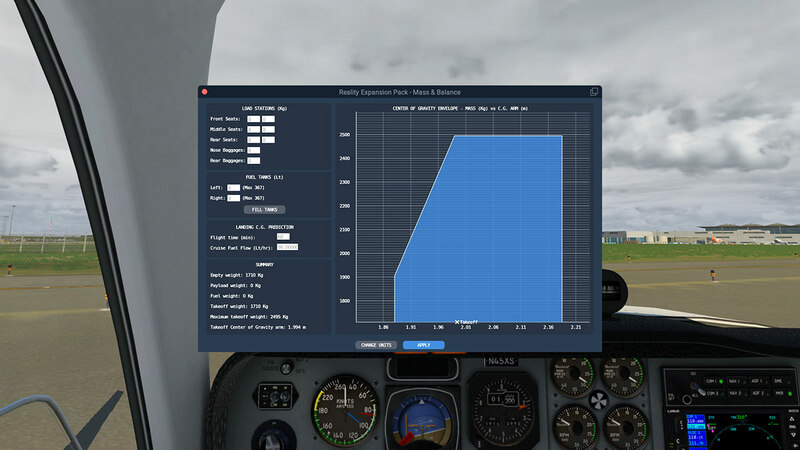 And you can set (or choose not to) the realistic differencies between the engines and the different throttle/propeller/mixture settings required for each engine and also the different CHTs and oil temperatures between the engines. 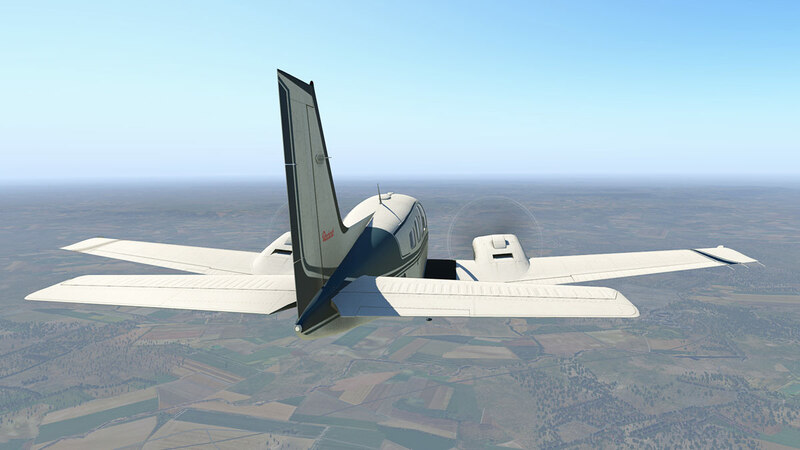 Sounds in the earlier REP Packages were an advantage, but that feel is slightly null now as Laminar Research now uses the excellent FMOD 180º sound effects to well "great effect", but here are a few sound effects that still add in a few more extra aural specialities like engine clicks and stutters and engine humming sounds when the engines are not synchronized, and staring up the REP gives you a far more better starter sound. 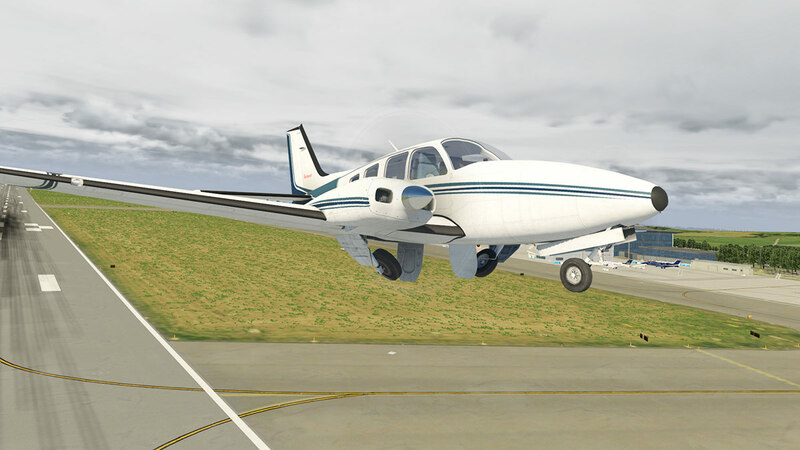 Ditto the featured fuselage wind, landing gear wind and Independent touch down sounds that is used with the SimCoders "Headshaker Plugin", as these again were a great early set of features. But most users now have or use the XPRealistic Plugin that does the same thing but also better and more effectively. But that is not saying it is not a good set of features because they still add in a better dimension to otherwise what is a basic aircraft. You get realistic gyro wander (or drift) and real HSI behavior and the fuel consumption that is more accurate than the default aircraft's performance that also includes flap drag and wind calculations. 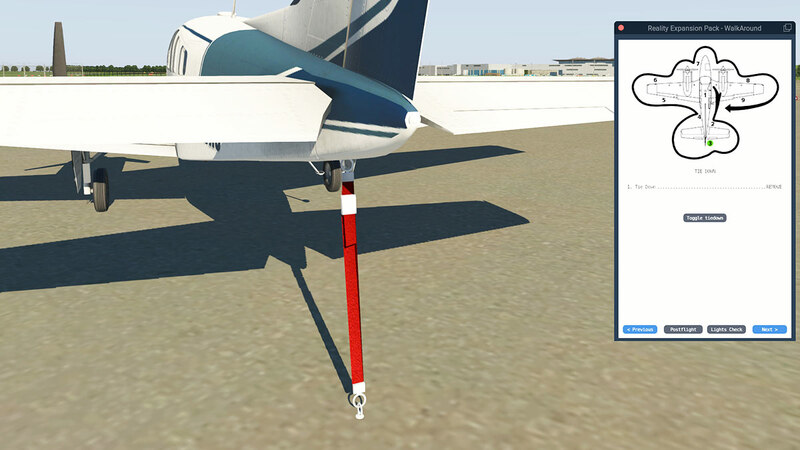 If you are hard on your aircraft then the REP won't be kind to you? 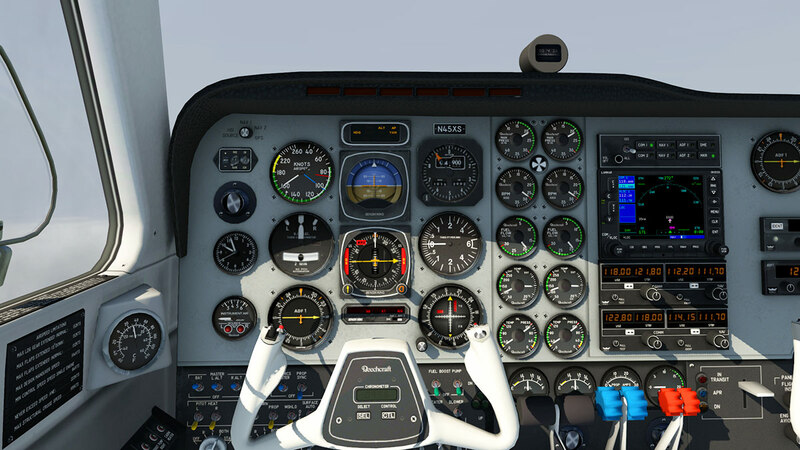 damages are and can be triggered by the pilot actions or poor piloting skills which is based on real world data and can target every system in the aircraft and this is all meant to teach you how to correctly manage the aircraft. 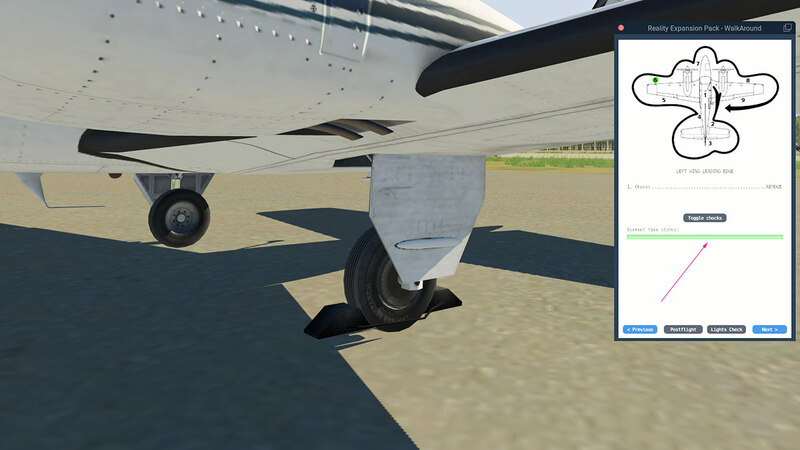 This goes for especially for hard landings, because if you hit the ground too hard and then landing gear can be damaged by hard landings and overspeed operations, the brakes and tires can also be damaged if not managed correctly and you will get the above Maintenance Report to show you your poor piloting actions. 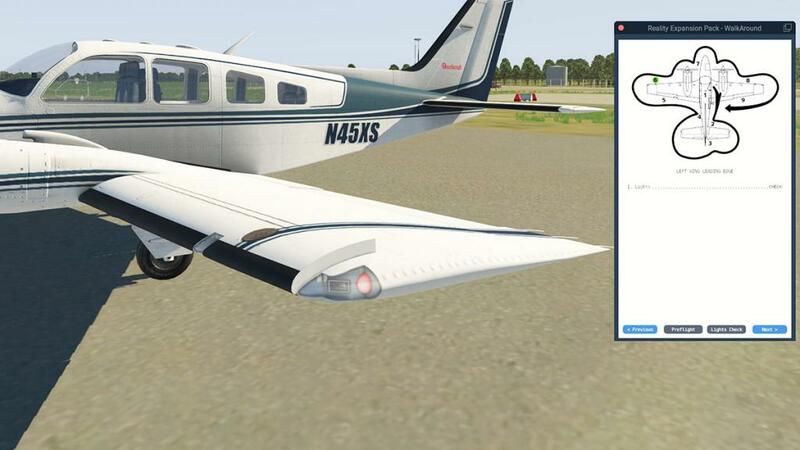 Even when your flying day is over the REP will still be working on items like if you leave the power on then the battery will discharge unless you turn it off and that is even if you leave it switched on and close X-Plane? Start X-Plane up again and you will have a dead battery to contend with. 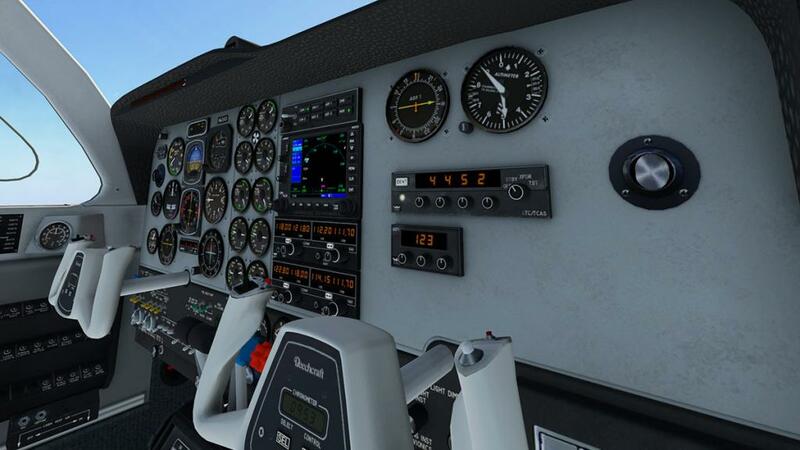 And that is with also all your current persistent aircraft wear and tear is recorded and every single switch and lever position is restored when you reload the aircraft as is the the engine and oil temperature which are also restored basing on the time passed. In other words the aircraft is in exactly the same condition (or worse) when you come back to the aircraft for another flight and you certainly don't get a newly set aircraft to fly in, and overtime those hours and the wear and tear will add up in the Maintenance Report and will require attention. 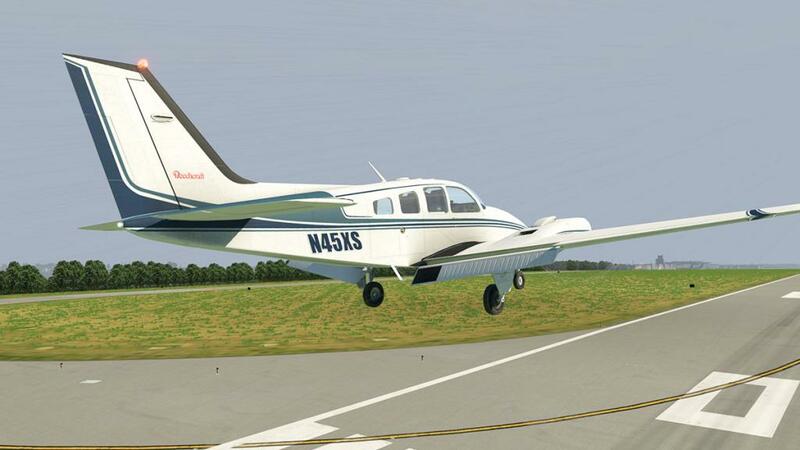 What the Simcoder's REP or Reality Expansion Pack does is take a standard aircraft and lets face it the Laminar Research B58 Baron is about as basic an aircraft you can get and Supercharges it and gives it a load of features and actions that makes it more in the payware zone than the default aircraft that comes with the simulator. And the REP does a really good job in this case with the B58 Baron and it covers a huge multitude of areas in performance, wear and tear, damages to the aircraft and fluid use. 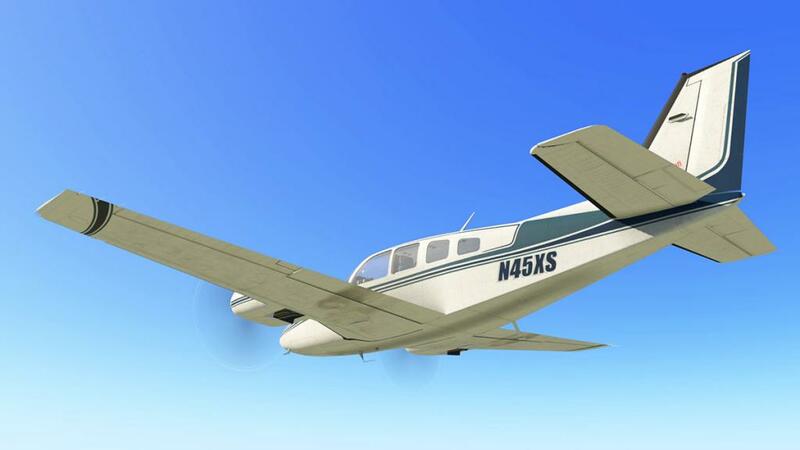 The effects on your systems are also covered in every aircraft area from the electrical systems, Oxygen and mechanical wear and tear on wheels and tires, overall the system coverage is quite extensive and you will need to look after and maintain the aircraft to a certain standard if you want to fly it regularly just like well really a "real" aircraft. 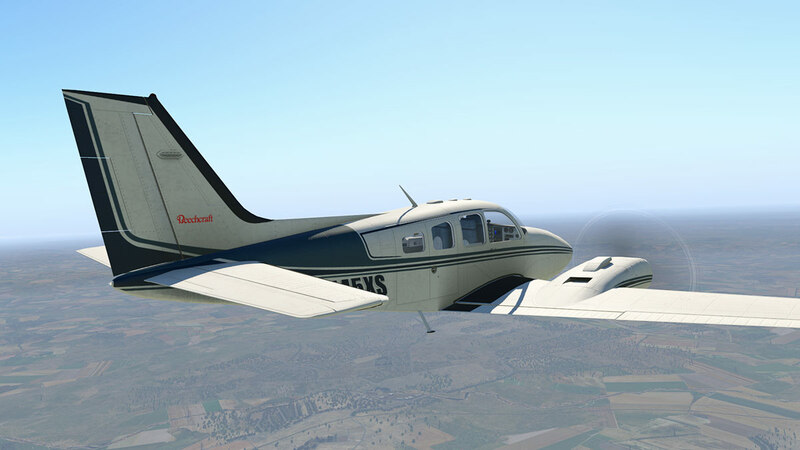 The REP has come a long way as well since the earlier versions that were just a little too invasive and made the aircraft just a little too realistic in that it got in the way of actually flying it. The better menu management really helps here now as does the "auto" engine start up that helps in simply starting the engines. An area that still needs attention is in either the cold start or hot start? You need more control over setting "all" static elements in either all on or all off positions, and shutting down the aircraft to simply restart it again just to hide the odd pitot cover or wheel chock is silly? As is when closing with up a simple shutdown (of everything) is also required in not to say drain your battery. 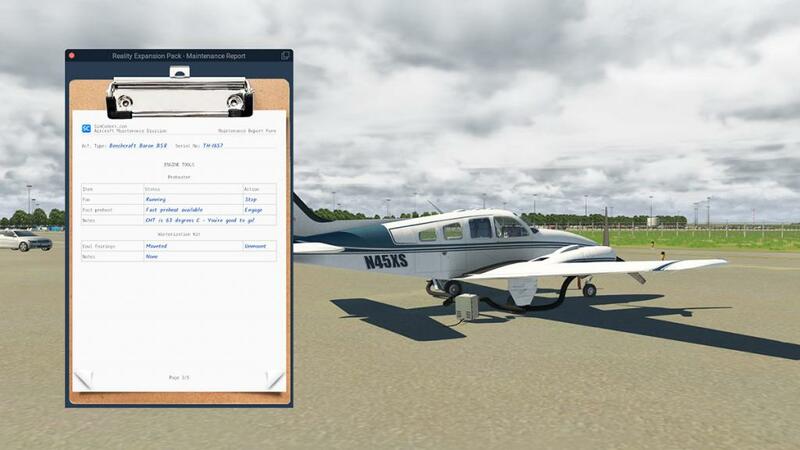 This REP package is certainly very comprehensive and it goes a long, long way in bringing the quite basic default B58 Baron to life and with far more features and actions than what the aircraft actually has when it comes with the X-Plane simulator. I wasn't a big fan of the earlier REP packages, but this one here is now actually very good on the Baron, and Simcoders have made the REP's more user friendly and not as invasive as their earlier packs. PS: Customers who own the REP 58 Carenado can get this REP B58 LR for 60% off. Please find the coupon code in your Original REP B58 invoice at the store. 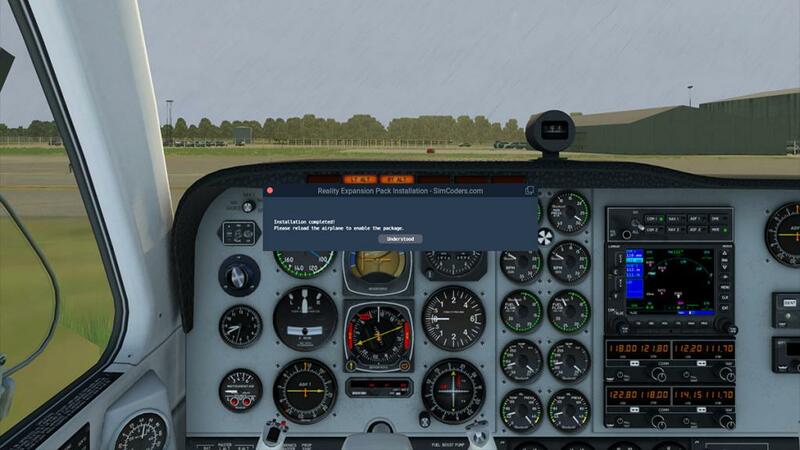 Installation : Download is 23mb which is unzipped and is inserted to the Aircraft/ Laminar Research B58 Baron "Plugins" folder. Key authorisation is required.